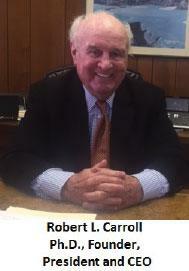 RLC Technologies was founded in 1997 by Dr. Robert L. Carroll. Carroll’s years of experience in the field of environmental research and development have made RLC Technologies a leader in the oil and gas industry. Founded in 1997, RLC Technologies set out to develop a superior technological solution for the remediation and recycling of soil, sludge, and other materials containing a wide range of organic contaminants. We accomplish this with our Anaerobic Thermal Desorption Units (ATDU), which are built around the indirect thermal desorption process. These units have been employed on numerous successful thermal remediation projects around the world, causing RLC Technologies to be recognized as a leader in the design and operation of thermal remediation systems for the oil and gas industry. Our qualified staff of engineers and fabricators manufacture equipment with quality components to the highest standards of workmanship. As our ATDU systems are put into operation on job sites around the world, components are built onto modular skids to allow for simple transportation and erection once on site. We stand by our customers by providing on-site technical support throughout the duration of the commissioning and training process. Our goal is to provide service solutions, one customer at a time. Your satisfaction is our highest priority.